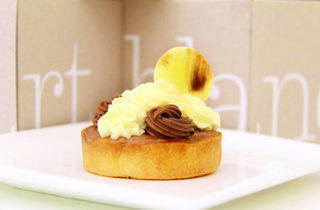 Dessert tarts at Millenia Walk. 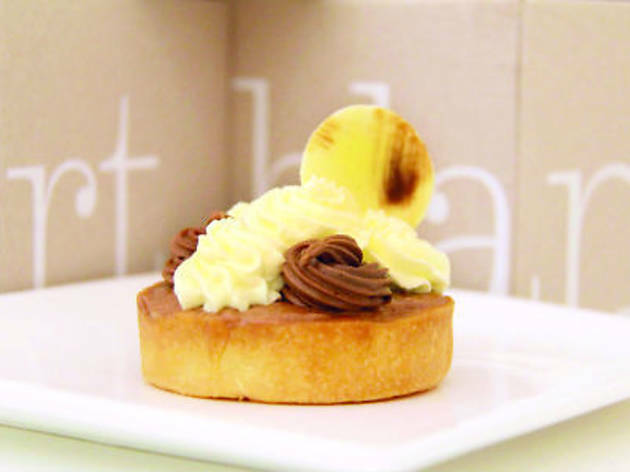 Working with the humble tart shell as their blank canvas (or carte blanche, which the café takes its name from), local sisters Diana and Syncilia Ko, both dessert makers – the former an ex-dessert chef armed with an education from Florida’s Notter School of Pastry and, the latter the proprietor of online cake and cupcake store, Pommes Desserts – offer sweet creations like their lemon blackberry, banana chocolate silk tarts, as well as their more unique combinations like blueberry lavender chocolate and saffron poached pear mini-tarts ($7-$7.50). These are served in the small 12-seater, alongside coffees, teas and four tea mocktail flavours to cut the saccharine bites. A small selection of cookies, madeleines and financiers ($6.80- $7.50) are also baked in-house for lighter snacking amidst the café’s minimal and bright interiors.